Things we say when we think we are parenting “right” have been labeled “Mommy War”. Comments made on Facebook or passing remarks in conversation Things we say because it makes us feel superior, or things others say that make us feel inferior. It’s interesting to look back on things I thought were “make or break” for parenting. Things I thought were so important when I had my first baby. I thought these things made Keaton the baby he was. 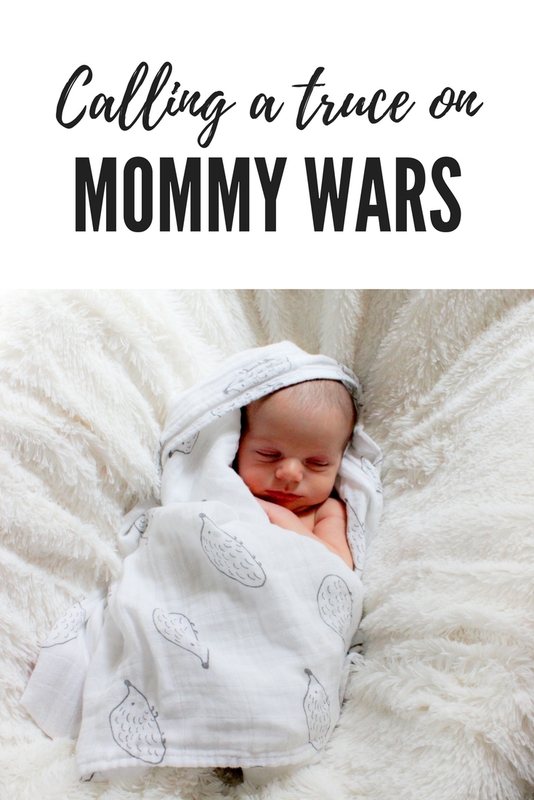 Things I may or may not have even battled a bit on the mommy war battlefield. These were the things that I thought validated me as a “good mom”. For me, it came from a place of wanting to control the outcome of that phase of life. From the insecurity of never having done this before and wanting to follow a clear-cut path. With the birth of my second child who has an opposite personality, I have realized how little of mothering can be done “right”. And I have realized how little is within my control. Looking back my loss of control started with the birth plan of my first child. I made sure everything was in order to give me the birth that I had dreamed. Almost like planning for my wedding day. I had planned lots of other events without any problems, wouldn’t this be the same way? A woman at church with a 3 year old told me just to rip it up and throw it away, because birth isn’t predictable (she had an unmediated breach birth, not by choice and I really should have listened.) I was sure she just hadn’t done all the steps right to achieve her plan. I knew I could do better than that, and I could pull it off. God allowed me exactly what I asked for. According to the plan on paper, everything went perfectly. The steps went exactly as I asked, even the part where no one offered me any medicine for pain. Fifty-six hours of labor I didn’t even ask, because I had told my doula and husband not to give it to me no matter what I said. (I’m looking back now and shaking my head). I was sure this would ensure that we would bond and he would nurse faster, but my best plans often don’t work the way I think they might. I was too tired to hold him, and he didn’t nurse for the first day and a half because he swallowed amniotic fluid. 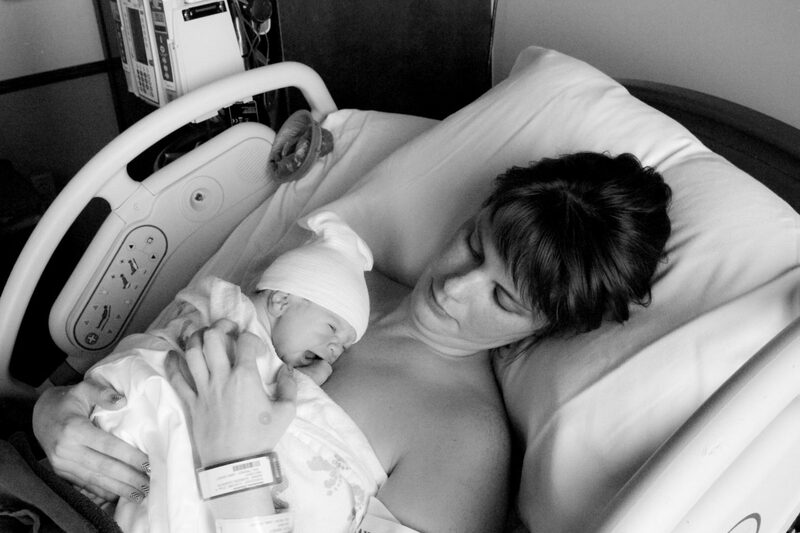 The second birth I chose an epidural, the very thing that would have set me on edge the first time around. I slept through my labor, and the baby nursed an hour and 15 minutes 10 min after he was born. This was the outcome I was seeking the first time around. I’m not saying that to say unmediated births are wrong and we should all have epidurals. I made my plans, but the outcome wasn’t what I expected. From day one God has gently been guiding me away from pride in my plans working out my way. He has been showing me that it isn’t about what I do. I can’t take pride in my methods over another mother, because babies, birth, and motherhood can’t be programmed. Now you would think that after a hard first lesson, that I would have learned that my plans weren’t determining the parenting outcome. I’m afraid that isn’t the case. I carefully laid out Keaton’s sleeping times and feedings to create a beautiful sleeper, and did he ever sleep. I counseled other mothers on how to get their babies to sleep as well as mine and thought I had it figured out. (cue mommy war) Then we had Cedric. We did nearly identical sleep schedules and no sleep. So much for thinking I had that all together. We just ended up doing whatever we could, in the end, to get him to sleep. What Did I find in Parenting Books? Perhaps, there is no universal way to parent. Perhaps, children are heartier than we imagine. Perhaps, they are resilient and we can’t “ruin” them as babies? Perhaps, all we need to do is love them and do what works best for us. Hold them when we want to hold them and they want to be held. Put them down when we feel angry, or they want to play. 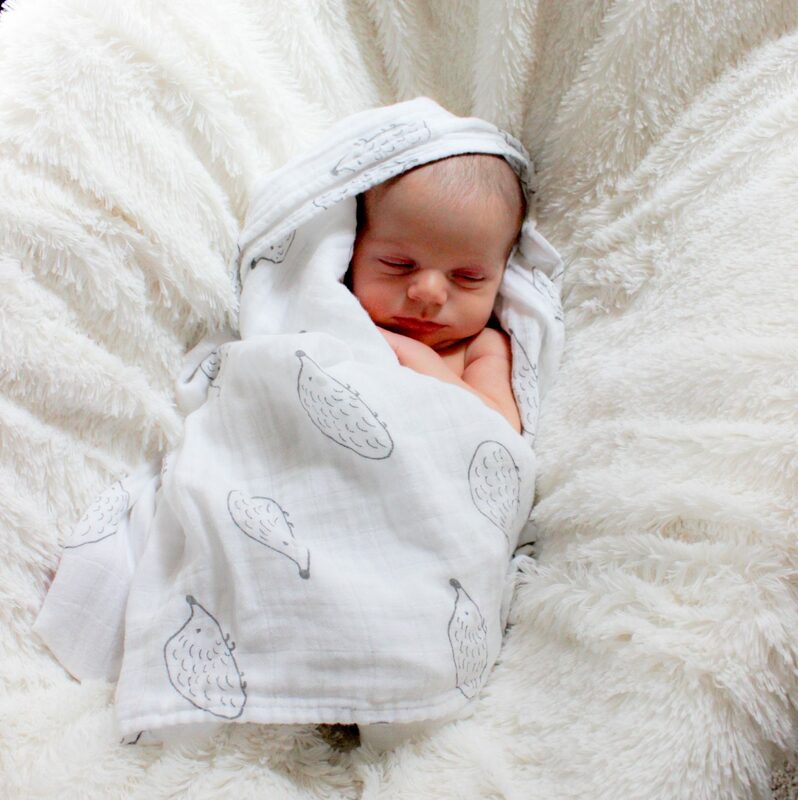 Sleep in the way that suits you and your baby best. Birth them naturally until our body says it has had enough, then take some medicine… or don’t if you don’t need to. Work if you need the money, or stay home if you don’t feel like leaving. Love them unconditionally in between. Perhaps, God has already given us all the tools we need to be mothers. Perhaps, it takes different tools to raise different babies? Perhaps, He has already placed into our heart and their heart exactly what He knows we both need to live this life we are living. Perhaps we should call a truce on the mommy war and allow God to teach each of us how to care for our own babies. Previous Post How Can Love Like This Exist? E, this is exactly the life I began living shortly after my second son was born. I began to shed the assumptions of a ‘right way.’ I left a dogmatic practice behind as the children outnumbered the adults in our home. Now with five boys, all I can do is look for ways to address character issues and live from one crash creative solution to the next. I gasped in horror as I recalled the kind of mother I was 16 (or so) years ago. Not that I was a bad mother but, more so that I thought badly of other mothers and their methods. I listened to what seemed to achieve results rather than saw each family as a unique unit in need of various types of approaches. 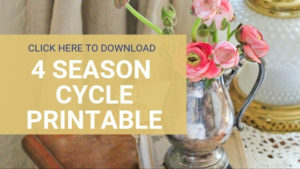 As each season changes, each child evolves. My heart changes along with their needs. Being more refined and less wrapped up in what I think will ruin them verse the type of grace we both need to grow as people. In short, I’ve learned more about what it means to love out of your poverty each day. Glad you’re in a place to quickly identify this rather than more years of holding tight to a birth plan. 🙂 Bravo Momma! Not all of my life is pretty, but when I focus on the sunshine in my nest, gratefulness follows. Which Usborne Books Should I Buy? Living with Postpartum PMS – Can I make it easier?